The problem with social media and the web which make information instantly and widely available, is that it puts too much temptation in my way of books I want to get my hands on. Homegoing by Yaa Gyasi. Gyasi is originally from Ghana but has lived much of her live in Alabama. On her first trip to her homeland to research material for a novel about a mother-daughter relationship she found inspiration for a very different novel, – one that traces the legacy of slavery over eight generations. Homegong is her debut novel – for which she gained a seven-figure advance, a sum most new authors can only dream of achieving. I seem to enjoy African authors or those who have left the country but retain an affiliation with the mother land so this has gone on my wishlist. Read more about Gyasi in this Time article. Transoceanic Lights by S. Li is also calling to me. He was born in Guangzhou, China in 1984 and moved to the US in 1989. According to the publisher it tells of three families who immigrate to the US from post-Mao China. The unnamed narrator’s overbearing mother is plagued with regret as financial burdens and lack of trust begin to rend apart her marriage. Her only solace lies in the distant promise of better lives for her children. Yet her son spends his days longing for the comfort and familiarity of his homeland, while his two cousins, one precocious and the other rambunctious, seem to assimilate effortlessly. Transoceanic Lights explores familial love and discord, the strains of displacement, and the elusive nature of the American Dream. Moving closer to home I came across The Earth Hums in B Flat, the debut novel by Welsh author Mari Strachan. I’m trying to do my bit to support Welsh authors so this of course is a title I want to keep on the radar. It’s apparently about the coming of age of a girl in in a small Welsh town in the 1950s where a shocking death occurs. The appeal really for me is that the life of the town is seen via this girl’s eyes. And finally, a book I learned of via The Book Satchel: A Tale of Love ad Darkness, an autobiographical tale by Israeli author Amos Oz. 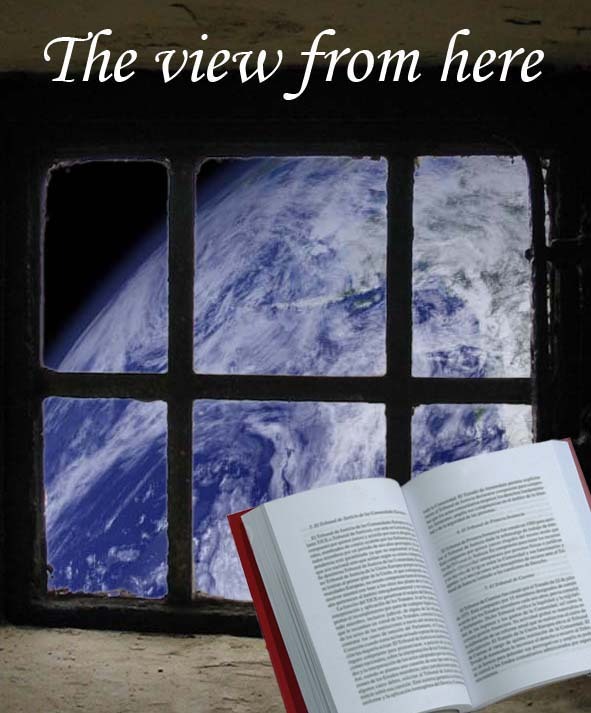 It’s been hugely popular worldwide with translations into 28 languages. The book documents much of Oz’s early life, told in a non-linear fashion, weaving his story with the tales of his family’s Eastern European roots. This is a culture and a part of the world on which my knowledge is woefully lacking so i’m hoping this book will help remedy this. These are all now on my wishlist for Santa (dare not buy anything myself). What have you all found to wish for this week? The 13 novels longlisted for the 2014 Man Booker Prize have just been announced. As expected, the new rules mean there is a heavy presence by American authors. Surprisingly though these are not the big hitters we were expecting – Donna Tartt’s The Goldfinch didn’t make it even though it won the Pulitzer Prize for Fiction earlier this year. Dave Eggers didn’t get listed either, though perhaps that’s not surprising since the critical response to Your Fathers, Where Are They? And the Prophets, Do They Live Forever? was, shall we say, lukewarm. The best known name among the Americans is Karen Jay Fowler with We Are All Completely Beside Ourselves. Based on my experience of reading her best selling title, The Jane Austen Book Club I am surprised to find her on the list and honestly can’t see her getting any further. Delighted though to see Neel Mukherjee on the list with The Lives of Others – I reviewed this recently and enjoyed it so much I nominated it for the Guardian’s Not the Booker Award. Hope he gets through to the next round..
Disappointingly few Commonwealth writers make it this year, in distinct contrast to the 2013 award longlist. Instead we have six novels from Britain, one from Australia, one from Ireland plus the five from USA. Chairman of the judges AC Grayling says that the lack of Commonwealth writers on the list was a reflection of the choices made by publishers when they decided what to submit. The Daily Telegraph quotes him as follows:. “It looks as though the publishers have put forward a number of American authors slightly at the expense of Commonwealth writers. “But I do think this is something that will adjust itself very quickly. It’s almost certainly the publishers feeling their way with American authors and I’m quite sure that will right itself,” he said. That comment doesn’t quite stack up for me since the press release issued by the Man Booker team says there were 31 Commonwealth submissions this year compared with 43 last year. Ok, it’s a drop but not a big falling off. The key here is however that 44 titles were entered which wouldn’t have been eligible until the rule change so we are certainly seeking a skewing of the list. I hope Grayling proves right and this should settle down in future years since one of the most valuable aspects for me of the Booker was the way it highlighted lesser known authors from countries whose literature doesn’t get much visibiity otherwise. I’m off to the library now to see which of these I can get. If last year’s experience is anything to judge by there won’t be that many available. 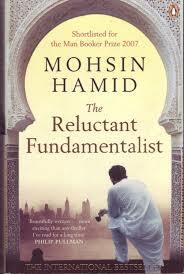 Mohsin Hamid’s novel The Reluctant Fundamentalist is one of those books that end in such an ambiguous and unresolved way it’s tempting to start re-reading it immediately to find the clues missed the first time around. The mystery begins immediately the book opens. It’s dusk in Lahore. An American visitor at a pavement cafe is approached by Changez, a local man who speaks immaculate English and who offers to help the stranger find the perfect cup of tea. Neither of these men is who they seem to be at first glance. Is Changez just someone extending the hand of friendship to a visitor in his home or is there something more sinister in this encounter? Is the American acting nervous simply because he is unfamiliar territory or is there another reason why he keeps looking around him? And why is there a bulge in his jacket similar to one you would find if someone wore a gun holster? Changez it turns out is a Princeton graduate who was once the star employee at a New York firm specialising in the evaluation of ailing companies prior to their takeover. He had flown first class, stayed in premium hotels and holidayed with some bright young things and fallen in love with the daughter of a wealthy American family. His initial enthusiasm for the American dream turned into disenchantment however to the point where the attack on the World Trade Center causes him to smile. … at that moment my thoughts were not with the victims of the attack ——I was caught up in the symbolism of it all, the fact that someone had so visibly brought America to her knees. Aghast at the way America responds with aggression towards Afghanistan, using Pakistan as their military base from which to launch attacks, he throws up his job and returns home to become a university lecturer. The title and the tense atmosphere that builds as the conversation progresses sets up an idea that Changez has become increasingly politicised since his return but has he gone over to the dark side of fundamentalism? He tells his listener that he has made it his mission “to advocate a disengagement from your country by mine”, building a support group from among his students and orchestrating anti-American protests and demonstrations. Is he, as he claims “simply a university lecturer, nothing more nor less” or is he a radical who while advocating non violence himself turns a blind eye to the activities of his supporters? Hamid has made his narrator a forceful, persuasive speaker. He is polite, considerate of his guest and finely attuned to the slightest change in his body language and facial expression. But there’s also a sense that he is an unreliable narrator, smoothly glossing over his own involvement in the failed assassination of an aid worker and glibly presenting his ideas as perfectly reasonable. If Changez is a radical fundamentalist whose activities have come to the attention of the authorities, is the American merely a passive listener or is he a secret service operative engaged in a mission to eradicate this potential threat? Mohsin Hamid keeps up the suspense right to the end and even then doesn’t provide the answers. Instead he stops the action just at the point where it seems something violent might happen. Whether the American or Changez is the target, we never get to find out. It’s one of the reasons I throughly enjoyed this book — Hamid doesn’t lay all the answers out on a plate for readers, instead he leaves it free for us to design our own interpretation and explanations. From the moment I read the opening sentence I had high hopes for this book and it didn’t disappoint. The structure is straightforward — it’s a dramatic monologue in the style of a framed narrative which Hamid makes compelling because of the strength of his characterisation of the narrator. It’s not a book of action but there is a feeling all the time that something is going to happen, we’re just not sure what. The Reluctant Fundamentalist was shortlisted for the Man Booker Prize in 2007. There are some similarities between Mohsin Hamid and the narrator of his book. Like Changez, Hamid studied at Princeton and worked for a management consultancy company in New York. His latest novel is How to Get Filthy Rich in Rising Asia. Welcome to India, the next country in the View from Here series on literature from around the world. We’re going to be in the expert hands of Nishita, who blogs at Nishita’s Rants and Raves. 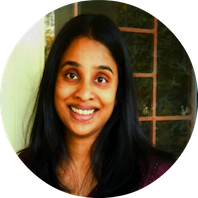 She lives in the IT power house of Bangalore where she is a technical writer and the mother of a new baby nicknamed The Snubnose. I’ve been blogging off and on for the past seven years. My blog originated as a personal blog. I wanted my little place on the web to write about stuff I was dealing with. I was struggling with too much work pressure, taking care of a new baby and basically trying to keep it all together. The last thing I needed was a new blog, but I needed some creativity in my life, and a blog seemed fun, and it all started from there. After some time, I realized I wasn’t comfortable voicing out too much personal stuff on the web; I was hardly blogging at all because I had a huge amount of written drafts, but nothing I actually wanted to publish. The only posts I ended up publishing were my bookish posts, and so I changed my blog focus to books, moved my blog from Blogger to WordPress and a book blog was born. I am not as prolific as other book bloggers. My reading rate is a book a week (if it is something light), so apart from books, I do blog about other non-book related stuff on my blog. Currently, I am working on reading a lot of Man Booker prize books and classics, which I think take time to read and assimilate so I am quite happy focusing on what I read rather than how much I read. At work, I am a writer – a technical writer but writer nevertheless. Technical writing is not creative writing at all. You stick to a particular style and format, and there is very little room for creativity – except in certain areas like multimedia and graphics. Nevertheless, I enjoy my work as the technology space I work in keeps me interested. Q. What kinds of books are the most popular right now in India? India has had a huge spurt in publishing. More new authors are getting published here as compared to even 5-6 years ago. There are a few books that are very popular in India I reviewed The Krishna Key by Ashwin Sanghi earlier on my blog. He is like an Indian Dan Brown and is immensely popular. Another series of books (which I haven’t read) is The Shiva Trilogy by Amish Tripathi. These books have become bestsellers here and I’ve heard they are even being made into a Bollywood movie. Mythology-related books are very popular in India. The books that I mentioned above are all closely tied to ancient Indian myths. These books tend to do very well. Of late, a lot of Indian chick-lit and historical romances are popular in the Indian market. Stuff like Rajput princes falling in love with dancing maidens, that type of thing. Most of them are just fluff, but there are a few gems like The Zoya Factor by Anuja Chauhan who I think is the Sophie Kinsella of India. She’s awesome. The Indian detective novel is also slowly coming into its own. There are a few talented writers out there. One is Kiswar Desai. I reviewed one of her books The Sea of Innocence here . Earlier Indian writing was a lot more grim dealing with issues like poverty, crime etc. Books went through a rigorous screening process and only a few but quality books were published. But the new breed of writers is choosing to look beyond that and come up with something more generic and light-hearted. It’s also comparatively easier to get published. Is this a good thing? I honestly don’t know. It seems to be a global trend though, and so I can’t say it is specific to India only. Q. What books do you remember having to study in school that could be considered classics of Indian literature? We studied the Ramayana and Mahabharatha in school. These are epics and we studied them in an abridged form in Hindi our national language. I am not sure if there are good translations around, but I highly recommend The Mahabharatha especially. It’s one of the most powerful stories out there, and although humongous has a lot to offer. I was also introduced to a lot of English literature in school. Our schools would teach some short chapters from classic English literature, and then we were encouraged to read the whole book. I was introduced to some great writers through my school English teachers – Asimov (I devoured the Robot series afterwards), I still remember Maggie Tulliver’s infamous hair chopping episode from The Mill on the Floss by George Eliot. A classic but still very readable Indian author is R.K.Narayan – a couple of his stories were included in our English textbooks. His books reflect an older India which is sadly not around anymore. I would recommend Swami and Friends highly – stories about a group of school boys in British India. Do you know Graham Greene loved these stories so much, he helped get them published? I didn’t know until I found this article on Wikipedia. I remember that there wasn’t anything very controversial though. Most of the stories were very safe without raising any awkward questions. Not a good thing I know, but that was how it was. The college literature program laid heavy emphasis on Thomas Hardy. Although I didn’t study literature, I would sit in on the classes where they talked about Tess of the D’urbervilles. I think a whole semester was devoted to this book. Some Indian books were also covered. I remember Nectar in a Sieve by Kamala Markandaya, and also The Good Earth by Pearl S.Buck. Q. There’s a rich heritage of literature in your country with some authors who’ve made it big on the world stage -people like Amitav Ghosh, Aravind Adiga, Arundhati Roy. Are they just as big in India as they are in other parts of the world? Amitav Ghosh is huge in India. Even if not many people have read his books, he has very strong name recognition. I think many people were angry with Aravind Adiga’s portrayal of India in The White Tiger. There were a lot of unhappy editorials in newspapers about how he portrayed India in a bad light. I don’t agree though. I thought it was a honest book showing a side of India that we like to pretend doesn’t exist. Arundhati Roy is involved in a lot of social activism. While her book (The God of Small Things) is highly regarded, she is more in the news for the stance she takes on various current events. And most people’s opinion of her seems to come from whether they agree with her ideas or not. Q. Although geographically close to Asia, there are deep roots which connect India to Europe (through the period of colonisation). How does this position in the middle of different cultures affect your authors? India has very strong ties to English authors – not as much now as before. But writers like Ruskin Bond, P.G.Wodehouse, Enid Blyton, and Agatha Christie are very popular here. Even Rudyard Kipling who many criticize as being colonialist is well-regarded in India among the older generation. Indian writers used to be heavily influenced by the British style. We learn and therefore write in British English. However, of late, this influence is waning and more and more Indian writers are looking locally for inspiration, incorporating the local lingo and mannerisms in their story. Q. Kobo has just announced it wants to break into the Indian market with its e-reader. How do you think this will work – are readers ready for this or will they want to stick to paper ? The Kindle is doing pretty well in India. The e-reader market in India is still a niche market. Why? Because the book reading market in India is still only a small percentage of the Indian population. So I am not very sure how well two competing e-readers will perform. I think there will be a lot of competition and may be some clever placement for both to do well. I don’t see the Kobe overtaking Kindle in any way. The Kindle is too well-entrenched and well-known. I think I’ve mentioned before that when I take a trip abroad, I like to read a book set in the country I am visiting or at least written by an author from that part of the world. When I bought Yukio Mishima‘s After the Banquet, last month I had no idea I would shortly be on my way to Japan. I had bought it while meandering through the shelves of Blackwell’s in Oxford, purely on the basis that I had read little by Japanese authors beyond Kazuo Ishiguro. But it proved the perfect companion for my unexpected trip; not only was it a well-written thoughtful novel about a relationship between two people who want different things in life, but it introduced me to facets of life in the city I was visiting. Tokyo has changed considerably of course in the fifty or so years since the book’s setting but many of the cultural references are still valid. 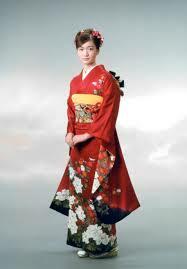 So as I read the minute details about clothing and food that Mishima provides, I was able to ask some work colleagues for explanations and to see some of the items of clothing on sale in local shops. 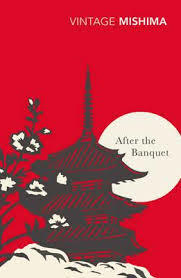 It seems After the Banquet is atypical of Mishima’s work but on the basis of this one book, I will be back for more. If Mishima’s novel was an unexpected delight so also were two other books I’ve read in December: The Reluctant Fundamentalist by the Pakistani author Mohsin Hamid and John Steinbeck‘s 1945 novel Cannery Row. I loved the direct style of the narrator in Hamid’s book and the somewhat mysterious nature of his meeting with an American visitor at a cafe in Lahore. Steinbeck was someone I did not expect to enjoy but this story about a motley collection of individuals who live on a street lined with sardine canneries in Monteray, California, was something remarkable. I read it after listening to the author Bill Patterson talk on a book podcast about this being his favourite novel and one he re-reads almost yearly. I had expected it to be somewhat doom and gloom post depression stuff so was completely unprepared for its warmth and humour. I can see why Patterson loves it so much. So what’s next in the final few weeks of the year? I’ll be reading Graham Greene’s The Power and The Glory for the Classics Club spin a long and also dipping into Alice Munro’s Dear Life collection of short stories which is January’s book club selection. What will you all be reading in the next few weeks? It’s hard to imagine a more spectacular cityscape than the one that has thrust skywards in China’s second largest city over the last few decades. The result is a fantastical array of glass and steel that at night lets Shanghai put on a lightshow which wouldn’t be out of place in Las Vegas. Hardly surprising that millions of people have gravitated to the city with the dream of making a new life for themselves. Tash Aw’s Five Star Billionaire introduces us to just four of the city’s twenty-seven million inhabitants, all Malyasian Chinese immigrants trying to ride the wave of China’s economic boom. Poor, naive Phoebe arrives in the city full of hope in the form of a dream job but soon discovers that the job, like so much of Shanghai, is simply smoke and mirrors. Rich, sophisticated Yinghui has become a wealthy businessman by opening chains of spa salons and upmarket underwear shops to cater for the new upwardly mobile city dwellers. Justin is even more wealthy and successful as the brains of his family’s powerful property development business but he’s in personal meltdown, weighed down by the relentless pressure to seal the next deal. And finally there is rich but unsophisticated Gary whose angelic voice helped him escape from his rural backwater home to become a mega pop star. His career is now in freefall as a result of one too many alcohol-induced altercations in nightclubs. There is a fifth character, the shadowy figure of the five star billionaire Walter Chao who touches and disrupts the lives of these individuals. Phoebe religiously follows the advice from the pages of Chao’s self help manuals on how to be successful while Yinghui can’t resist the lure of a fantastic new business opportunity he puts her way. Walter Chao is the only character who speaks directly to the reader, his first person narration an early warning sign that he is perhaps just too good to be true. The novel starts with a lot of promise. This is where the characters are introduced and their moments of crisis are laid out. It’s here that Tash Aw’s wonderfully fluid style is at its best. By the time we reach the half way mark however it seems to loses its momentum. There are just too many coincidences of connections between the characters to be believable: Justin just happens to live in the same apartment as Phoebe; she gets a job working for Yingui who knows Justin from her younger days. Phoebe becomes chat room friends with Gary though she doesn’t know he is the pop star she adores so much she had posters of him on her bedroom wall etc etc. Five Star Billionaire is an ambitious attempt to convey the mult-facted nature of this burgeoning city and the tension created by the race to wealth. The city Justin sees from his apartment is vibrant and flamboyant, each skyscraper trying to outdo its neighbour in height, splendour and luminescence. A crystal outcrop suspended high in the sky, shrouded by mist on rainy days; a giant goldfish wriggling across the face of a building; interlocking geometric shapes scattering into a million fragments before regrouping. “… she looked at the scene — at the thick wriggling river of bodies so dense and colourless that it was hard to make out each individual human being…..old age pensioners dressed in revolutionary clothes, stern paded jackets and shapeless trousers that matched their expressionless faces which seemed to have crumpled inwards. No light shone from their eyes, no feeling sprang from their gazes…. Tash Aw paints a dark picture of Shanghai, a city that represents a beacon of hope for those who want to make their fortune but find instead that it robs them. They lose perspective, lose their sense of who they really are , lose their feeling of being in control. For Aw, this is a city that tantalises and teases with the prospect of success but only delivers at a cost to the individual. The city held its promises just of of reach, waiting to see how far you wr willing to go to get what you wanted, how long you were prepared to wait. And until you adjusted your expectations to take account of that,you would always be on the edge for despite ……. the feeling of unbridled potential, Shanghai would always seem to be accelerating a couple of steps ahead of you, no matter how hard you worked or played. …. 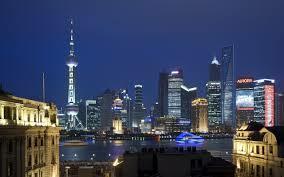 You arrived thinking you were going to use Shanghai to get what you wanted, and it would take time before you realised it was using you; that it had already moved on, and you were playing catch up. If Shanghai is a tease, then so is Tash Aw’s novel for setting up such a strong premise but ultimately letting it fizzle out. 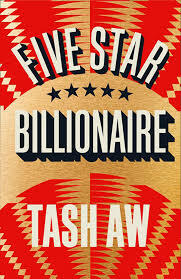 Five Star Billionaire, published by Fourth Estate, was longlisted for the 2013 Man Booker prize.